Should you use IP address 192.168.1.0 on your home network? IP address 192.168.1.0 represents the 192.168.1.x range of local area network (LAN) addresses where x is any number between 1 and 255. It's the default network number for home broadband routers that take 192.168.1.1 as their default address. However, in short: 192.168.1.0 should not be assigned to any device on a home network. If you're trying to access your router to log in as admin and make changes — such as to create a Wi-Fi network or manage DNS settings — then you might be mistyping the router's IP address. You can most likely access the router by turning its IP into a URL, like this: http://192.168.1.1. Internet protocol organizes each network into one continuous address range. The first number in the range serves a special purpose in IP: it's used by routers to support the 192.168.1.x network as a whole. 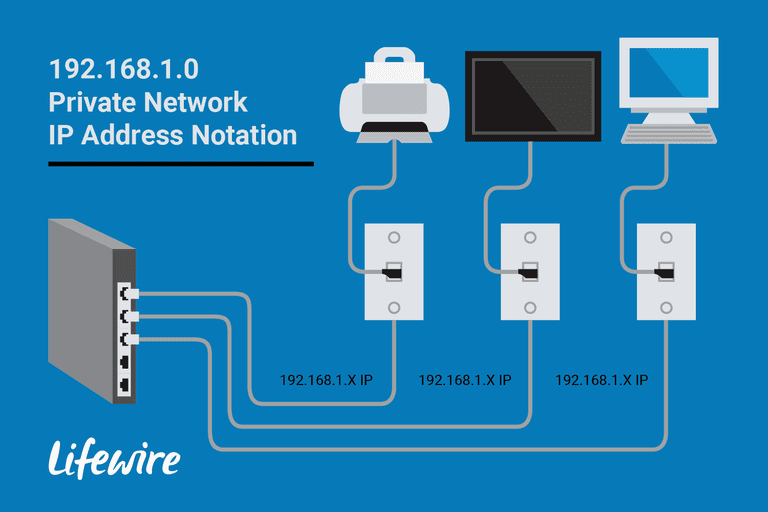 When 192.168.1.0 (or any other address) is configured as a network number, it becomes unusable for any other purpose. If an administrator assigns 192.168.1.0 as a static IP address, for example, the overall network stops functioning until that device is taken offline. 192.168.1.0 can be safely used on the 192.168.0.0 network if that network is set up with a large enough address range of more than 255 clients. However, such networks are rare in practice. 192.168.1.0 falls within the private IP address range that starts with 192.168.0.0. It's a private IPv4 network address, meaning that ping tests or any other connection from the internet or other outside networks, cannot be routed to it. As a network number, this address is used in routing tables and by routers to share their network information with each other. A home router is typically installed with 192.168.1.1 and supplies only higher numbered addresses to local clients — 192.168.1.2, 192.168.1.3, and so on. IP address 192.168.0.1 works well and is sometimes used as a home network router's local IP address. Some people mistakenly reverse the last two digits and look for 192.168.1.0 on their network instead of the correct address. All networks in the private IP ranges work equally well. 192.168.0.0 is easier to remember and the most logical starting place to set up a private IP network, but 192.168.100.0 or any other number less than 256 works as well. What Is the Purpose of the 192.1.1 Network IP?